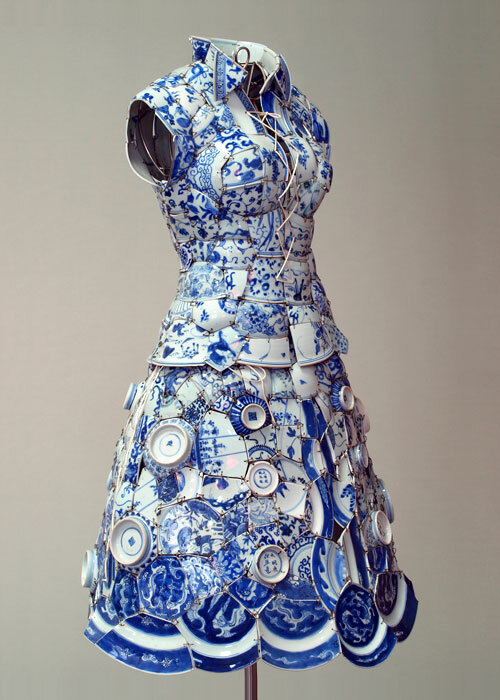 I've had a bit of an obsession lately with the willow pattern, but looks like someone else did too. Wish I knew who to credit for this amazing dress. Careful when you sit down!